3 Day Satisfaction Guarantee, If You Don’t Love Your Car, You Can Exchange It Within 3 Days! We appreciate your interest in our inventory, and apologize we do not have model details displaying on the website at this time. Please fill the form out below and our team will quickly respond, or, please call us at (813) 463-8462 for more information. By submitting my cell phone number to the Dealership, I agree to receive text messages, and phone calls, which may be recorded and/or sent using automated dialing equipment or software from Jerry Ulm Chrysler, Dodge, Jeep, Ram and its affiliates in the future, unless I opt-out from such communications. I understand that my consent to be contacted is not a requirement to purchase any product or service and that I can opt-out at any time. I agree to pay my mobile service provider’s text messaging rates, if applicable. 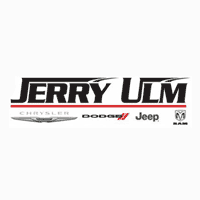 Jerry Ulm Chrysler, Dodge, Jeep, Ram	27.9660908, -82.5064586.